throughout her life. She was a devout Christian and experienced strange visions and vivid dreams, which she ascribed to premonitions from God. In 1849, Tubman escaped to Philadelphia, then immediately returned to Maryland to rescue her family. Slowly, one group at a time, she brought relatives with her out of the state, and eventually guided dozens of other slaves to freedom. 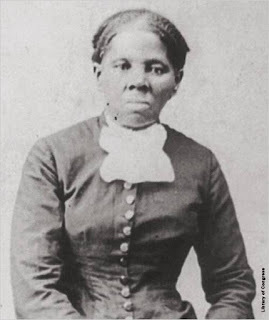 Traveling by night and in extreme secrecy, Tubman (or "Moses", as she was called) "never lost a passenger". Her actions made slave owners anxious and angry, and they posted rewards for her capture. After the Fugitive Slave Act of 1850 was passed, she helped guide fugitives farther north into British North America, and helped newly freed slaves find work. Is replacing Jackson with Tubman a bow to political correctness? No doubt. But that doesn't mean it is also a bad idea. Tubman deserves to be honored. I have long believed that you have to judge people according to the standards of the time in which they lived. Even by that standard, however, slave-owning Jackson falls short. While no doubt a transformative President, Jackson also forcibly relocated Native Americans in what became known as the "Trail of Tears." Some ten thousand died from exposure, disease and starvation en route. Nonetheless, the change in the $20 should be about honoring Tubman, not punishing Jackson via 20-20 historical hindsight. Our stamps often change to honor various Americans. Why shouldn't our money do so occasionally as well? The notion that the images displayed on our money should never change is a 20th Century phenomenon that needs to change. That to me seems like a messy approach that is more about politics than honoring people who deserve to be honored. I would be in favor of honoring people on the front of the bill, with the reverse side detailing something from that person's life. All is not lost. A rabid racist will still be on the $5 bill. While I admire Harriet Tubman, I am disappointed in the decision to remove Pres. Jackson. Jackson was not only the Hero Of New Orleans but also was the 1st president born on the "frontier," slew the Bank of the United States & was the ONLY president to ever pay off the nat'l debt. Yes, he had monstrous faults, but his record -- in totality -- was one that expanded sound money & created a lean federal gov't.